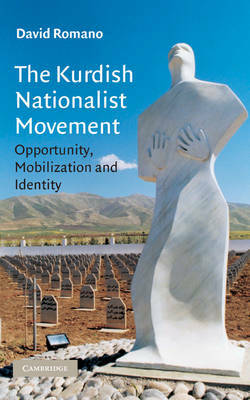 David Romano's 2006 book focuses on the Kurdish case to try and make sense of ethnic nationalist resurgence generally. In a world rent by a growing number of such conflicts, the questions posed about why, how and when such challenges to the state are mounted are becoming increasingly urgent. Throughout the author analyses these questions through the lens of social movement theory, considering in particular politico-social structures, resource mobilization strategies and cultural identity. His conclusions offer some thought-provoking insights into Kurdish nationalism, as well as into the strengths and weaknesses of various social movement theories. While the book offers a rigorous conceptual approach, the empirical material - the result of the author's personal experiences - makes it a compelling read. It will find a readership amongst students of the Middle East, and also amongst those interested in ethnic relations, minority rights, terrorism, state repression, social movement theories and many other related issues.